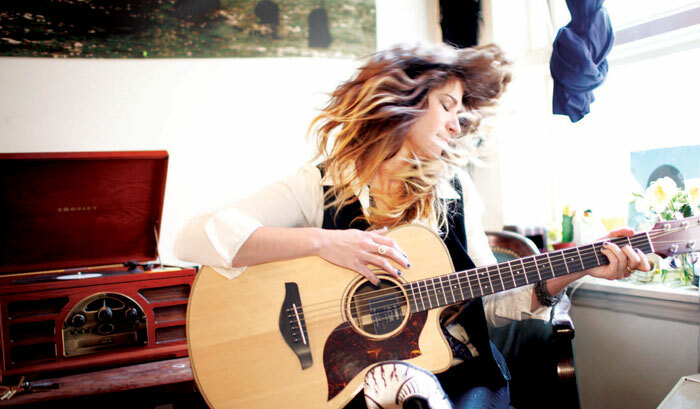 Singer-songwriter Nicole Atkins doesn't just hear music - she sees it. "I see all music in colors," she explains. "My last album, Mondo Amore, had lots of browns and golds, coppers and ambers in it. Some songs are blacks and greens. In fact, if I start writing a song and don't see any colors, I don't finish it." And the overall color of her music? "Midnight blue," she instantly responds. This kind of synesthesia makes sense for Nicole, who studied as a painter and illustrator before embarking on her musical career. "Sometimes a little bit of drawing and painting vocabulary seeps into my lyrics," she says. "It's also nice to think about a song as a painting.The bare bones of a song is like an under-painting, but it isn't really what you end up with. The original idea can morph into something much grander once you put the layers on." Since the 2011 release of her second album, Mondo Amore, on independent label Razor & Tie, Nicole has toured continually throughout the U.S., playing a mixture of solo dates, full-band shows, and more ambitious, theatrical performances. "Instead of being guitar-based, those shows are more piano-and-strings oriented," she says. "I'm just singing, and wearing a ball gown. It's a much classier affair. When I play certain songs with these different arrangements, it feels like a whole new experience." Though Mondo Amore is only her second record, Nicole is no stranger to reinvention. She parted ways with her initial record label, Columbia, in the wake of her 2007 debut Neptune City. "That was the first record I ever made," she says, "and there were a lot of things stylistically that I didn't get to do. There were songs that didn't make it onto the record that I should have fought for a little bit more. Now I'm becoming more ambitious about what I can turn the songs into. Rather than just little songs, I can make them into epic, almost theatrical pieces." 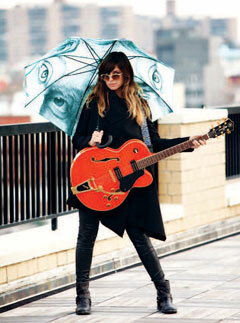 She also reshuffled her band, renaming it from Nicole Atkins and the Sea to Nicole Atkins and the Black Sea. Though the new band retains some of the same players, there are differences: "With the old band, the sound was focused on exactly what was on the record. That record was a lot more orchestral, but this one is very raw and rock-and-roll." Whether she's performing solo or playing with her band, Nicole uses two distinctly different Yamaha guitars. For acoustic gigs, she plays an A Series. "It's a great, great guitar," Nicole says. "The sound is very full and bright, and the pickups are amazing. My favorite thing is how small the body is - it's really easy to play." It's also durable, she adds: "I knock that thing around a lot. I'm like a Tasmanian devil when it comes to loading and unloading my van! It stays in tune really well, and it has a built-in tuner, so I don't have to bring a tuner pedal anywhere. 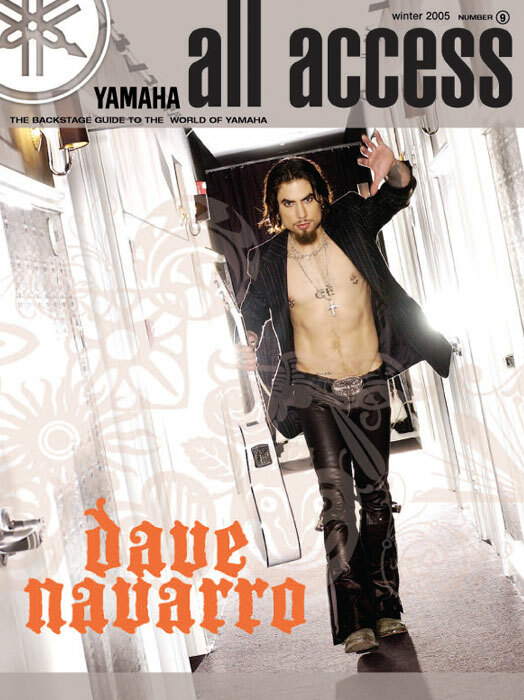 It's the most convenient guitar ever." If I start writing a song and don't see any colors, I don't finish it. When Nicole wants a more atmospheric sound, she grabs her Yamaha AES1500B hollowbody with its Bigsby tremolo. "My music has a lot of surfy sounds and desert tremolo-type sounds," she says. "And if you're going to do that kind of sound, that's the kind of guitar you need. It's perfect to play with the band, because it has that really big, warm, full sound. But it's also really fun to play on solo shows. I use a ton of reverb and a hint of tremolo - it gives the set a spookiness that's really appealing." As Nicole starts to think about her third album, both guitars are inspiring her to write new material. "When you get a new guitar, it's like a psychic thing," she reflects. "There are so many songs in there that just come to you. When I got the smaller acoustic guitar, I was more inspired to write things that move around the neck a lot, because the neck is so small that it's really easy to play. And when I got the big hollowbody, I went Bigsby crazy and ended up writing a bunch of desert songs." So what color will her next record be? "I don't know yet," she laughs. "I'm in the potpourri stage, where I'm constantly coming up with little fragments. The hard part is sitting down and fleshing out those flashes of inspiration. In a lot of my songs, I'm just trying to take a lot of pain and heartache and channel it into something more beautiful. If I can play a show and have people get lost in that sound for a little bit and forget about how much certain situations might hurt, then I've done my job."